For his 1872 book, The Expression of the Emotions in Man and Animals, Charles Darwin asked that seven photographic plates capturing the fleeting expressions of various subjects be included. His publisher tried to dissuade him, fearing that printing the photographs would result in a financial loss. But Darwin insisted, realizing the invaluable contribution the nascent technique would make to the sciences, and went on to publish one of the very first photographically illustrated science books. In the same spirit, The Scientist’s third annual Labby Multimedia Awards celebrate the use of images—both still and moving—in the life sciences. In the following pages we present five videos and five images selected by our editorial team from dozens of submissions sent to us over the summer, and we shine a spotlight on four winners, selected by an esteemed panel of judges as well as by our online readers, who cast their votes at the-scientist.com. After tiny desiccated invertebrates called water bears (phylum Tardigrada) were launched into space in 2007 by the European Space Agency, then reanimated by rehydration when they returned 10 days later, biologist Nicole Ottawa and photographer Oliver Meckes decided they should photograph look-alikes of the newly minted astronauts—also because “they look so funny,” Meckes says. The Reutlingen, Germany–based duo, who go by the name Eye of Science, obtained some water bears from the University of Stuttgart and carefully prepared the specimens by killing the animals, washing them with alcohol, rinsing them in a high-pressure chamber with liquid carbon dioxide, drying them, and coating them with gold or platinum. 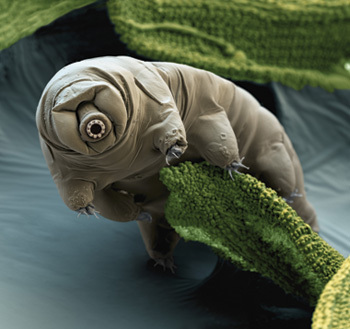 They then picked up a single water bear with a loose hair, placed it on the specimen holder, and surrounded it with bits of moss for the scanning electron microscope photo shoot. It’s a lot of work to get an image that gives an accurate portrayal of what these animals looked like in life, but “that’s the art in our job,” Meckes says. SLOAN: The digital manipulation of color in SEMs can be misleading, but this is an example where the aesthetic value of the image trumps concerns about natural color. This is art. Depending on the mix of lipids Bagatolli uses to create the liposomes—as well as their miscibility—he can obtain the most peculiar patterns. 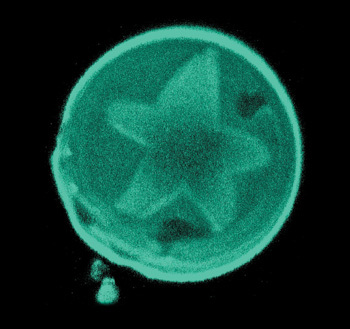 The giant unilamellar liposome featured in this winning image is 40 µm in diameter and is composed of ceramide, cholesterol, and the glycerophospholipid POPC. The star-shaped region is formed by the crystallization of ceramide-rich lipids. BELL: A surprising and startling view of a large unilamellar vesicle. The star-shaped crystal gives the image both an organic and a graphic feel. 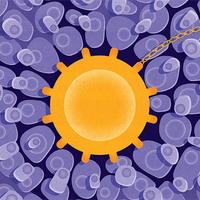 READING-IKKANDA: The liposome image is a very interesting capture, almost alien in its structure and color. Produced by Ted Kinsman, high school teacher, Rochester, New York. “I own my own scanning electron microscope,” says Ted Kinsman, a videographer/photographer turned high school physics teacher. “It’s in a friend’s living room.” Kinsman often uses it to create high-quality scientific images, which have been used in TV shows such as the X-Files, Grey’s Anatomy, and Frozen Planet. His friends often bring him unusual things to photograph or to radiograph with an X-ray machine, which he keeps in his garage. This luna moth was collected during a camping trip with his kids in Canada, near Lake Superior. “When we woke up there were hundreds of these luna moths all over the place,” he says. 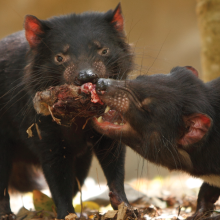 With no mouths or need for food, the males find the females by using their antennae (pictured here), which are “incredibly sensitive to smell,” says Kinsman. 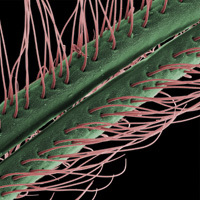 BELL: Exquisitely beautiful details emerge in this excellent SEM. The closer you look, the more you see. Beautifully colorized and wonderfully composed. Veterinary immunologist Hari Mohan Saxena snapped this photo of a skate (family Rajidae) while on an excursion to the Seattle Aquarium during a break from a 2010 Keystone Symposia conference being held there. “Its unusual movement, shape, colors, and bizarre anatomical features on the ventral side caught my attention, and I took a snapshot,” he says. 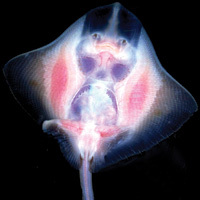 A skate’s ventral surface is rarely seen, as the cartilaginous fish make their living skimming along the bottom of marine habitats. Saxena took the photo with a 12-megapixel Olympus Stylus 9000 and an Olympus 10X optical zoom lens. Cartilaginous fish “stir curiosity equally well among scientists and laymen, professionals and amateurs, and people of all ages,” says Saxena, who also enjoys photographing other aquarium-bound organisms, such as jellyfish. SLOAN: I wish I knew how the photographer was able to get the [skate] looking like this. Is it light, electricity, or bioluminescence? I believe they are normally drab in appearance. 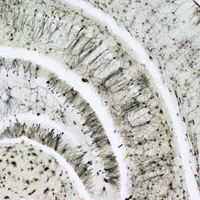 By stitching together 40 high-resolution shots of the hippocampal region of a mouse model of Down syndrome, neurobiologist Ahmad Salehi created a single hyper-informative image which he can use to get both a global view of the hippocampus and to zoom in to examine the connections of individual dendrites. “We want to find out why the hippocampus undergoes significant degeneration in Down syndrome and Alzheimer’s disease,” he says, adding that both diseases share a common pathology. Salehi has found that in Down syndrome mice, the region of the hippocampus known as the dentate gyrus (appearing as the third gray section from top to bottom), which plays a significant role in contextual learning, shrinks over time. READING-IKKANDA: The elegant curvature of the hippocampus and the lace-like line-work of the neurons not only have great educational value but are pleasing to the eye. This image is a work of art that I should like to hang on my wall! 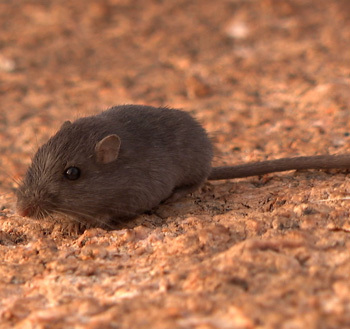 This film captures the evolutionary journey of the pocket mouse, a rodent that inhabits the charred lava flows in New Mexico’s Valley of Fires. In a short amount of time, evolutionarily speaking, the dominant fur-color phenotype in pocket mouse populations has shifted to match the backdrop of their habitats: mice that live on patches of lava are black, while sandy-colored mice inhabit the surrounding desert. Making of the Fittest: Natural Selection and Adaptation follows the work of University of Arizona evolutionary biologist Michael Nachman, who probes the science behind the pocket mouse story. “We hope it really stimulates and excites students and teachers to look into some of these topics more deeply,” says Dennis Liu, director of HHMI’s educational resources group. BELL: Terrific from start to finish. This is how life science films should be done. A brilliant blend of writing, visuals, soundtrack, and graphics make this video both memorable and informative. READING-IKKANDA: A professional and well produced video that was visually pleasing, entertaining, and educational. 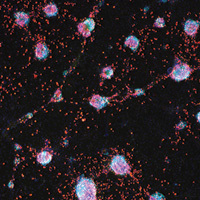 The goal of Hari Shroff’s lab at NIBIB is to develop new microscopy techniques and tools while working on a 4-dimensional atlas of neuronal development in the worm Caenorhabditis elegans. 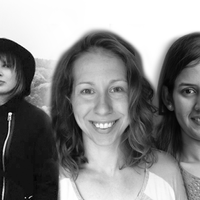 “We’re engineers and physicists who collaborate with biologists,” says Shroff. In this 4-minute movie, Shroff and his team filmed the development of worm embryos over the course of 14 hours. 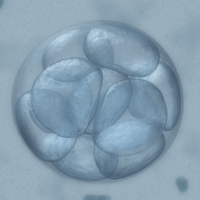 The samples in the movie were shot using a number of techniques, including high-resolution 3-D microscopy and light-sheet microscopy, to capture the formation of nerve cells in a developing worm embryo—work that is coincidentally featured in this month’s Lab Tools section (“The Sharper Image”). SLOAN: The promise of what is to come is greater than what this video was able to deliver now. I am sure we will be amazed by what this lab produces a couple years from now. 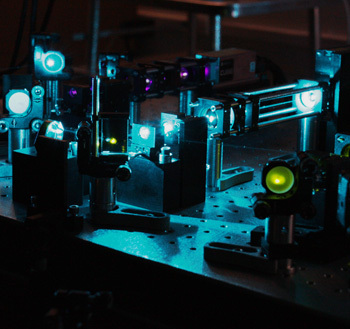 BELL: A revealing look at how the limits of microscopy have been extended. Amazing to see the actual growth of neurons in a living creature. CIRM multimedia editor Todd Dubnicoff and communications manager Amy Adams explore the personal stories of teenager Sarah Young and 62-year-old market research consultant Chris Stiehl, both of whom have type 1 diabetes. At the same time, the filmmakers delve into the CIRM-funded research of biotech company ViaCyte, Inc., which aims to derive pancreatic cells from embryonic stem cells and deliver them to patients in an enclosed capsule that will protect the foreign cells from the body’s immune system. “It’s our hope that it will essentially replace the pancreas and release the insulin on demand just as the normal pancreas would do,” ViaCyte chief scientific officer Kevin D’Amour says in the video. HOLMES: [The video offers] friendly human touches, a good integration of science and personal stories, and an appropriately simple animated explanation of diabetes. This animated expedition inside the human cell was brought to life by a team of scientists, mathematicians, programmers, and artists who used custom-built software that integrates known physical and chemical properties of proteins and other molecules to render them 3-dimensional. This video was produced for the Biophysical Society 2012 Annual Meeting in San Diego, where it was projected in a dome theater. “We wanted to show people that cells can be explored in a way that is both meaningful and beautiful,” says Monica Zoppè, who heads the Scientific Visualization Unit. READING-IKKANDA: Nanoplanet: An Expedition to the Cell was beautifully animated, presenting an eerie and busy cellular landscape to the viewer. 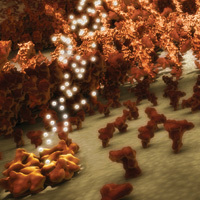 However, the lack of color made it difficult for the viewer to distinguish proteins from each other and to identify key characters, such as hormones and binding sites. Produced by Barrett Klein, biologist at the University of Wisconsin–La Crosse. With special thanks to Professor Jürgen Tautz and the BEEgroup at the University of Würzburg, beekeeper Dirk Ahrens-Lagast, and Judy Hyman, who composed the score. 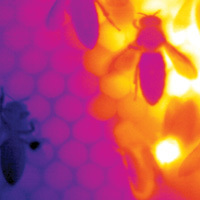 Over the course of 2 years, biologist Barrett Klein pointed forward-looking infrared (FLIR) cameras at observation hives at the University of Würzburg to reveal behaviors not otherwise seen by the naked eye. One such behavior was the contraction of wing muscles without the flapping of wings. “That creates an impressive amount of heat from the thorax,” Klein says, which the bees use to keep the brood between 34 and 36°C for normal development. When a Vespula germanica wasp enters the hive, the bees use the same mechanism to suffocate and kill the invader. “It’s a combination of baking it alive and producing a high concentration of carbon dioxide,” Klein explains. The result of his work is nearly 6 minutes of beautifully colorized thermal imaging of bees, which he uses for research as well as for sci-art installations around the world. READING-IKKANDA: The Secret Lives of Honeybees was visually pleasing, bright, colorful, almost like modern art. The addition of some narration or captioning would go far to add to the educational and entertainment value of this otherwise fun and vibrant video. Nigel Holmes is a legendary graphic designer and founder of Explanation Graphics, a New York design firm that boasts a high-profile clientele which includes the New York Times, National Geographic, CVS/pharmacy, and Lonely Planet. 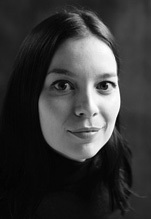 He has a master’s degree in illustration from the Royal College of Art in London. Lucy Reading-Ikkanda is a scientific illustrator and freelance graphic designer based in New York City. As the former art director of The Scientist, Reading-Ikkanda produced several award-winning graphics and layouts as well as a redesign of the magazine, which debuted in February 2012. Her stellar resume also includes a 7-year stint as a freelance art director for Scientific American. 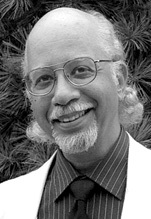 Edward Bell is a writer, a graphic designer, and a film producer and editor in New York City who served as Scientific American’s art director for 14 years. Bell, who studied journalism at The City College of New York, says his career in design was jumpstarted by the legendary art director Jerome Snyder, who “delivered” him from the Scientific American stockroom. 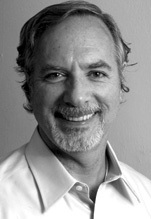 Christopher Sloan is an award-winning science writer and art director. In 2010, he founded Science Visualization, a company that helps scientists communicate their work to the public through exhibitions, television, books, and digital media. 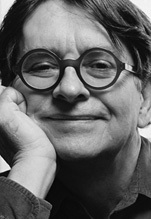 Sloan was the chief art director and senior editor for archaeology and paleontology at National Geographic magazine for 18 years.